Energy sources like solar and wind power are steadily gaining popularity, because they are beneficial for reducing CO2 emissions, and unlike fossil fuels, these sources will not be depleted. However, solar and wind power pose a challenge for our electricity grid. For the grid to operate in a reliable way, it requires a continuous balance between power generation and demand. Renewable energy sources are by nature not continuous: wind speed and cloudiness of the sky can vary by the hour. This intermittency makes the integration of renewable energy sources into our electricity grid a challenging task. To tackle the effects of the unpredictable power injections into the grid, various measures can be deployed. For instance, excess energy can be temporarily stored, or consumers can be asked to reduce their electricity usage when the grid is strained. The first option, storage of surplus energy, is steadily gaining popularity. ‘Superbatteries’ are being introduced to the power grid, with Europe’s largest battery plant, an initiative by Dutch energy company Eneco, going online later this month. Meanwhile, utility company Liander is exploring local solutions, having introduced the first ‘neighborhood batteries’ late last year. 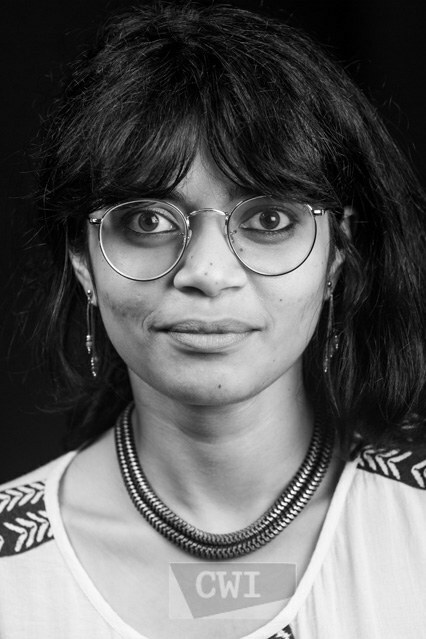 In her thesis, Debarati Bhaumik developed mathematical models and computational techniques that can assist in making decisions about which measures to take to make the grid ‘renewables-proof’. Firstly, she developed forecasting models that represent the unpredictability of wind power. These models can be used to predict potential stability threats posed by both variations in wind speed, and by variations in the overall output of wind farms. Bhaumik’s models allow the power grid reliability to be estimated, and the statistical properties of grids integrated with wind power to be studied. Secondly, Bhaumik considered the effect of incorporating batteries into the grid to temporarily store energy. More specifically, she created models that assess how such energy storage devices affect the reliability of the grid. Bhaumik: "I found that a stable, renewables-proof grid can indeed be realized, as long as energy storage devices are placed and operated optimally in the grid."